In getting him ready for a fall NAVHDA Utility Test this may be the ultimate bugaboo. See, he’s had two television seasons of solid points and backs, then olley-olley-oxen free once the bird flies. Several trainers I respect start with the concluding portion of any command (“hold” then the rest of the retrieve, for example). The flush corresponds nicely to this. Then, everything leading up to the whoa-to-flush becomes natural. Manny is already a staunch pointer. It’s the next steps that will need diligence on both our parts. What say you? I also find many trainers also use the stop to flush training in teaching our dogs to Honor. 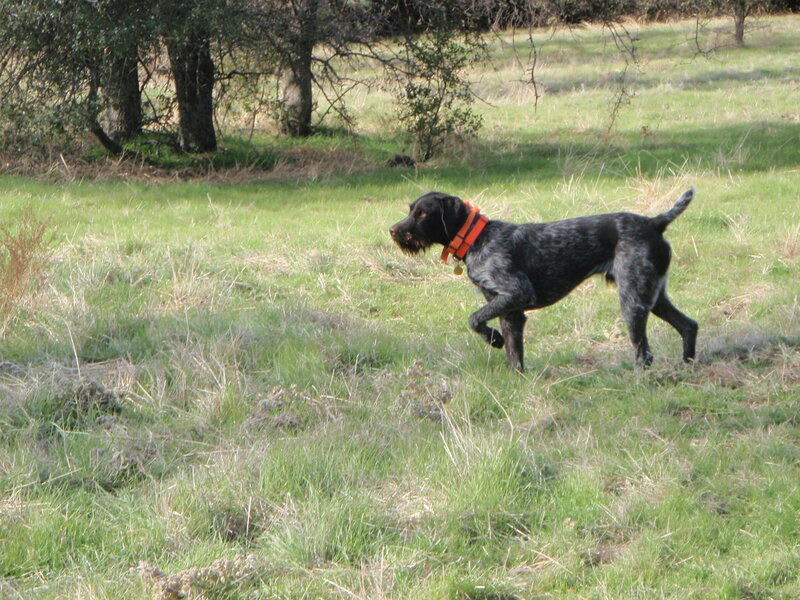 Stop to Flush training seems to fit naturally in most any sort of training or hunting situation..
Good point Sally Jo. That’s NEXT year’s challenge. hunted Nebraska last fall and can’t wait to get back.